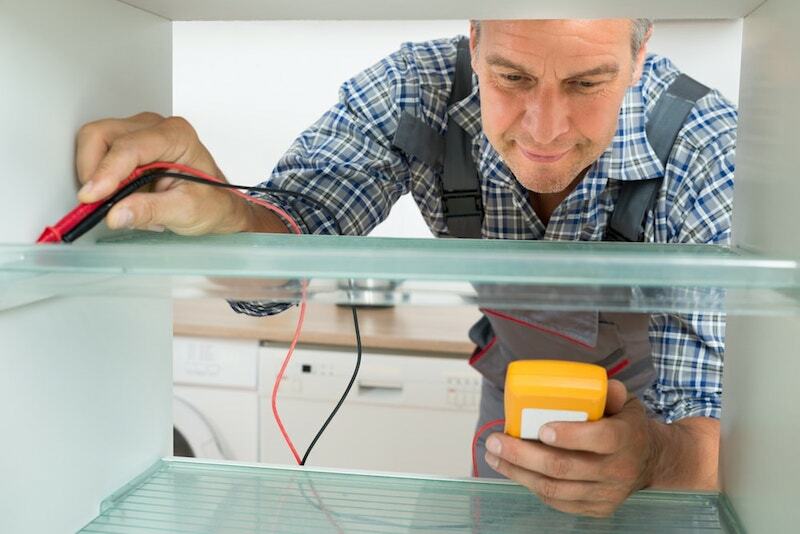 Appliances tend to break down when you least expect them and for many people, that is the time to start running up and down to try and find a good repair company in town. Getting the right repair service can be hard because you run a risk of being taken advantage of or even over-charged. If you are a Sub Zero customer this process can be much harder because not any repair person can fix a Sub Zero product. This means that you need to find a certified Sub Zero repair company near you. This can still be challenging especially if it is your first time to get your appliance fixed or you are new to the area. With a number of companies to choose from, what is it that you should look for in a Sub Zero repair company? The first step towards finding a good Sub Zero repair service is to be sure of who you are dealing with. When you book a call, the company should be able to ask you about the brand of your appliance. By doing this, you will find out if the company has the knowledge and experience to handle Sub Zero appliances or not. Experience is always the best teacher and it inspires confidence anytime you get to know that a Sub Zero repair company has been in business for a long time. It is possible that the repair service that you are seeking is a complex one and that can only be handled well by a team of experienced repair technicians. In order to prove this, you will need to look their track record and the number of years that the company has been in service. A competent Sub Zero repair company should not shy away from talking about the training and certification of its employees. Technical expertise is very important because it can inform you whether the company employees can handle the repair jobs or not. Besides, the technology that is used in the appliance industry is highly changing and the company should train their technicians regularly for them to be updated on the latest technologies. So, does the Sub Zero repair company partner with the manufacturer in order to get specific training? A Sub Zero repair company may be offering either simple or special repair services. As a result, you need to be sure about the kind of services the company is offering. So, are you looking for refrigeration repair or other specific appliance repair services like the stove, dryers or any other? Whatever the service, you need to ensure that the company is specialized in doing so that that your repair is handled in a competent manner. You do not want to be overcharged for your repairs but you should also remember that you are likely to get a poor service if the charges are on the lower side. While this may not always be the case, it is good not to make your decision based on the price alone. When it comes to the price of a repair service, you should try to factor in the knowledge and experience as well. Apart from the price, it is important to find out if the Sub Zero repair company accepts credit cards or not. This will tell you if the company has a track record which makes them acceptable for credit card payments. Moreover, credit card payments offer you security in case your repairs are not done well and you need to be reimbursed the costs that you incurred. Do the Sub Zero repair company offer warranty on the repairs that they make as well as the parts that they replace? If this is not the case, it means that there is no guarantee that the repairs that you will get are of good quality. It also means that the company is not using manufacturer approved parts which is key to the repair itself. When you are through with your background checks, it is important to confirm if the information you gathered is enough to help you make a good decision. But before you do so, check if the company can provide you with genuine reviews and references so that you get to know what other customers have experienced with the company before. How is their customer service? Are they knowledgeable and have a great follow up or they are just rude and offer slow repair services? The answers to such questions should give you a clear picture about the Sub Zero repair company that you are about to deal with. Well trained and knowledgeable team of technicians. Excellent experience in handling Sub Zero repairs. Plenty of great reviews to back up their quality work. If your Sub Zero refrigerator, oven, dryer or any other appliance malfunctions, do not mess it up further by calling just any technician that you happen to come by. What you need to do is to find a good Sub Zero repair company near you and your appliance will be up and running in no time. The restaurant I work in has a broken fridge, so they are wondering how to find the best sub-zero repair service to hire. So I like your advice to find a service that has been in business for a while so that you can be sure they are very experienced. I will be sure to tell my boss that he should find a sub-zero repair company who has been in business for a few years.